Van Morrison performs his hit "Brown Eyed Girl" on American Bandstand. Although this record will go on to become one of the most over-played songs in America, it will NOT be a hit in England. This will also be Van’s only appearance ever on this program. Michael Nesmith is the only Monkee in the studio today as he records his latest, "Tapioca Tundra". It will see the light of day early next year as the B-Side of their "Valleri" single. 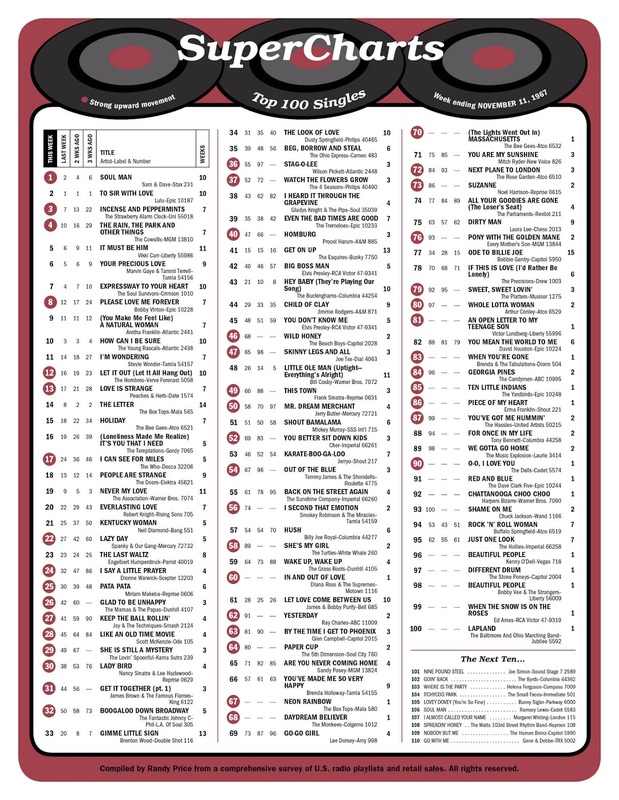 Other big movers on the chart this week (climbing ten places or more) include "Wild Honey" by The Beach Boys (#68 to #46), "Skinny Legs And All" by Joe Tex (#65 to #47), "This Town" by Frank Sinatra (#60 to #49), "You Better Sit Down Kids" by Cher (#69 to #52), "I Second That Emotion" by Smokey Robinson and the Miracles (#74 to #56), "She's My Girl" by The Turtles (#89 to #58), "Yesterday" by Ray Charles (#91 to #62, a jump of nearly 30 places), "By The Time I Get To Phoenix" by Glen Campbell (#81 to #63), "Paper Cup" by The Fifth Dimension (#80 to #64), "Next Plane To London" by The Rose Garden (#84 to #72), "Suzanne" by Noel Harrison (#86 to #73), "Pony With The Golden Mane" by Every Mother's Son (#93 to #76), "Sweet Sweet Lovin'" by The Platters (#92 to #79), "Whole Lotta Woman" by Arthur Conley (#97 to #80), "Georgia Pines" by The Candymen (#96 to #84) and "You've Got Me Hummin'" by The Hassles (#99 to #87). The Beatles film their promotional videos for their new single "Hello Goodbye" at The Saville Theatre in London. In all, three versions were filmed with edited bits from each making the final cut. It is a very entertaining video, showing The Beatles dressed in their full Sgt. Pepper garb ... as well as their original gray collarless suits! UPDATE: The Moody Blues FINALLY got nominated for the Class of 2018. After a string of hits between 1968 and 1972, Deram Records will re-release “Nights In White Satin” in 1972, FIVE YEARS after it was first recorded. This time it goes all the way to #1 (everywhere except Billboard, where it peaks at #2). Today it is considered a pop standard and a musical masterpiece. British Decca Records subsidiary label Deram released the Moody Blues' masterwork album "Days of Future Passed" on November 10, 1967. 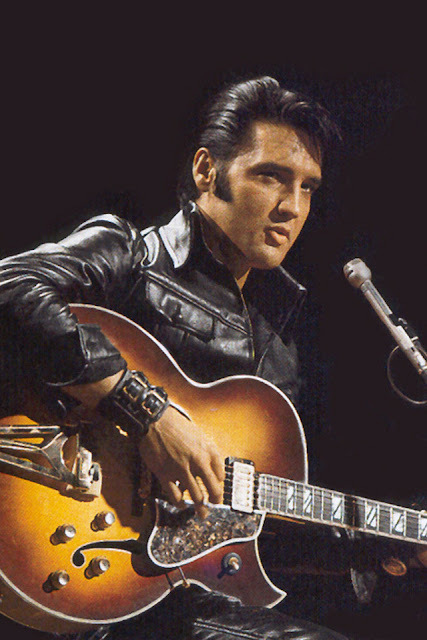 Among the first "concept" recordings, it was a brilliantly innovative fusion of rock and symphonic music. 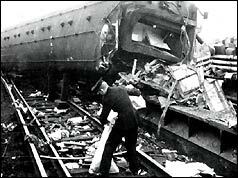 All but two of the tracks were more than five minutes long. "Nights In White Satin" was 7:41. Initially, Decca executives opposed releasing the album, as Ray Thomas explained. "Every Tuesday, record producers took all their wares and went before the record company executives to play what they had done that week, to determine what they thought was worth backing. They were very strict, but we were lucky because a guy called Walt McGuire, who was head of London Records, which was American Decca, was at the meeting. [Producer] Tony Clarke went in and he put 'Days of Future Passed' on and the Decca executives sat through it and they said, 'What the hell is that? You spent a whole week -- a whole week, mind you -- in the studio.' 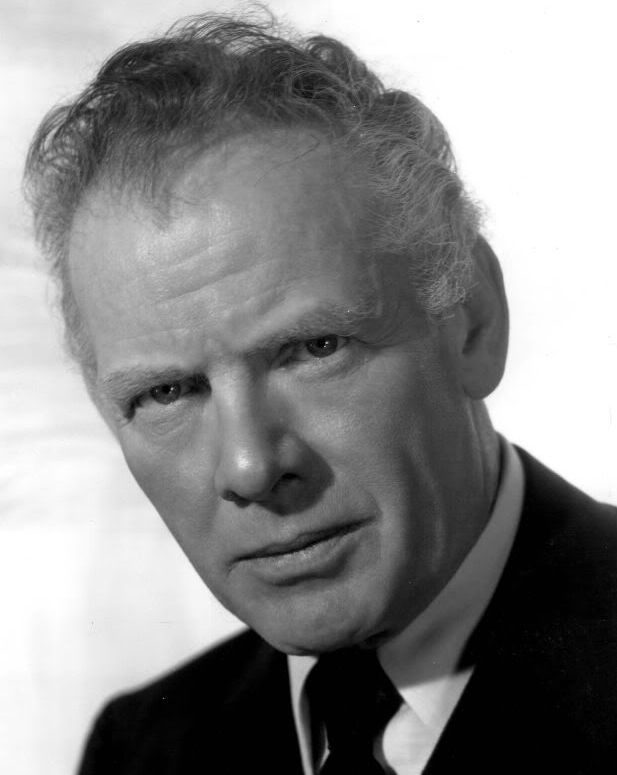 Walt McGuire said, 'I think it's fantastic! If you're not going to release it over here, give it to me, because I am.' The Decca people said, 'Well, we spent all that studio time, we might as well release it," Ray told authors Marti Smiley Childs and Jeff March for their book "Where Have All the Pop Stars Gone? Volume 2." American AM "top 40" radio stations, accustomed to playing records under three minutes long, weren't sure what to do with it. But it was perfect for newly emerging "progressive rock" FM radio stations, many of which let the entire album play without interruption. "Days of Future Passed" became a must-have album for the hip listeners of FM rock stations. "Nights In White Satin" gave the band a long-awaited singles hit, reaching No. 19 on the British charts in January 1968. 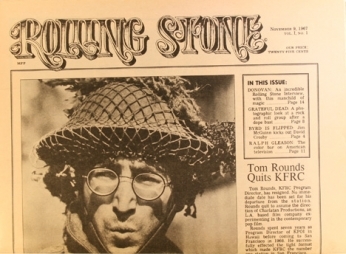 The very first issue of "Rolling Stone Magazine" is published … John Lennon (dressed in his "How I Won The War" garb) graces the cover. Ironically it was also on this date, in 1961, that Brian Epstein saw The Beatles perform for the very first time. The original press run for the very first issue? 40,000 copies … and it was designed in more of a "newspaper" format at the time. NASA launched Apollo 4 today from Cape Kennedy. 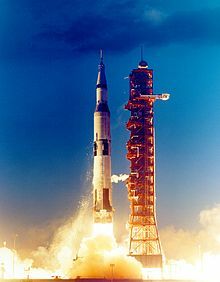 (It was the first test flight for the Saturn 5 rocket, which would eventually take three men to the moon two years later.) All three major networks broadcast the event live. 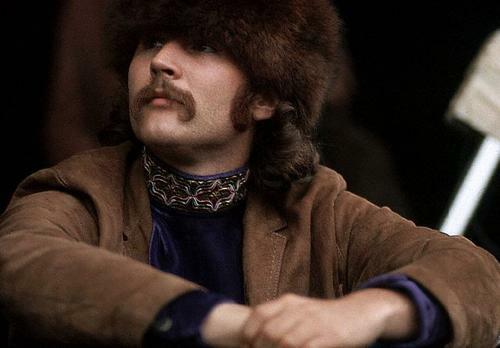 Depending on whose version of the story you choose to believe, David Crosby either quits or is fired by The Byrds. 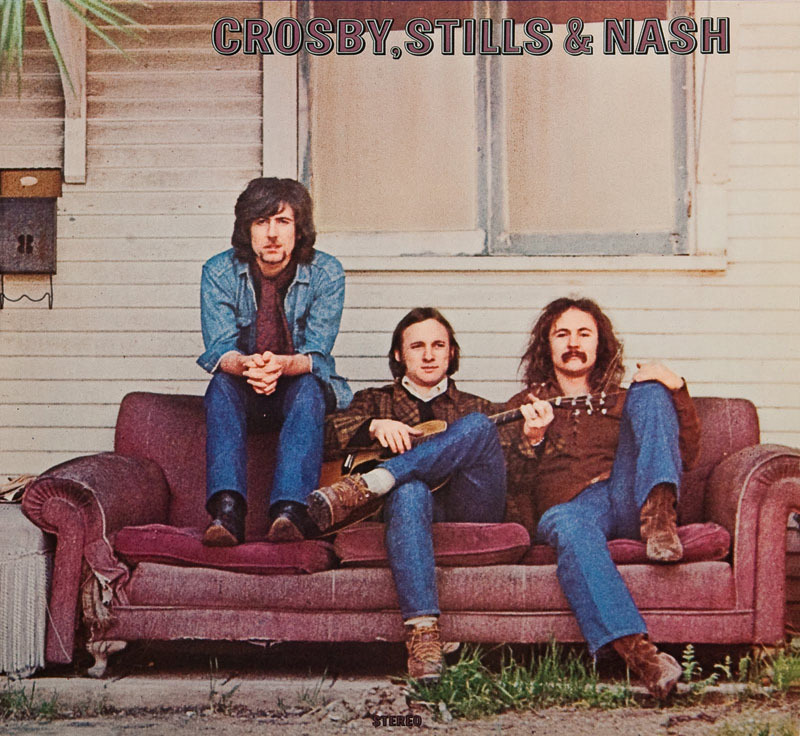 (In both tellings of the story, Crosby and Byrds leader Roger McGuinn describe the end result as "conflicting egos.") He is replaced by Gene Clark, who had left the band a couple of years earlier. Crosby won't be missing from the music scene for very long, however … within the next two years he will team with Stephen Stills of The Buffalo Springfield and Graham Nash of The Hollies to form one of the very first "super groups," Crosby, Stills and Nash. Fellow ex-Springfield guitarist Neil Young will also participate with the trio from time to time (when the mood suits him). 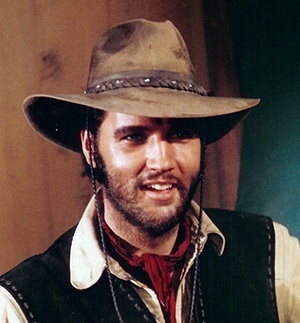 Harry Nilsson begins recording "Everybody's Talkin'" … it won't become known until it is used in the movie "Midnight Cowboy" nearly two years later, at which point it will become a Top Ten Single. He first released the track on his 1968 LP "Aerial Ballet" with very little fanfare. 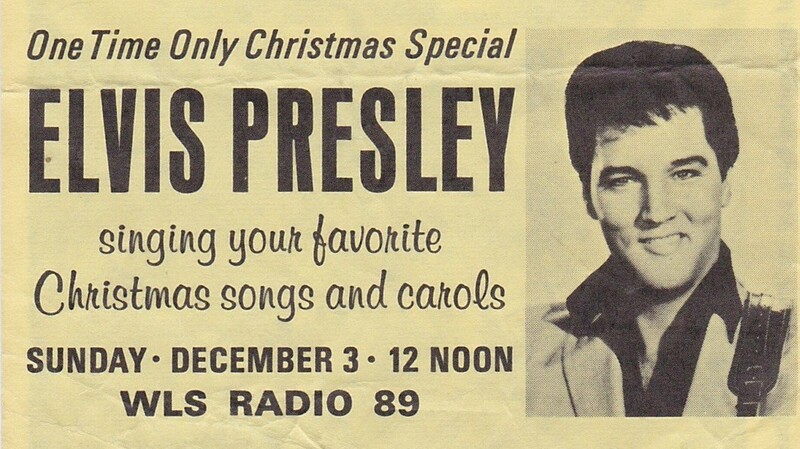 (RCA released it as a single in August of 1968 where it "bubbled under" in Billboard … but reached #51 and #54 respectively in Record World and Cash Box.) A year later, Beatles' Publicist Derek Taylor suggested the song might make a good theme to the upcoming Dustin Hoffman / Jon Voight flick but Harry wanted them to use one of his OWN compositions, the very similar sounding and crafted "I Guess The Lord Must Be In New York City", which he felt was better suited to the film. Taylor and producers won out … and "Everybody's Talkin'" became the very first major hit for Nilsson, peaking at #6 in the Fall of 1969. Diana Ross and the Supremes have the top chart debut this week as "In And Out Of Love" premiers at #60. 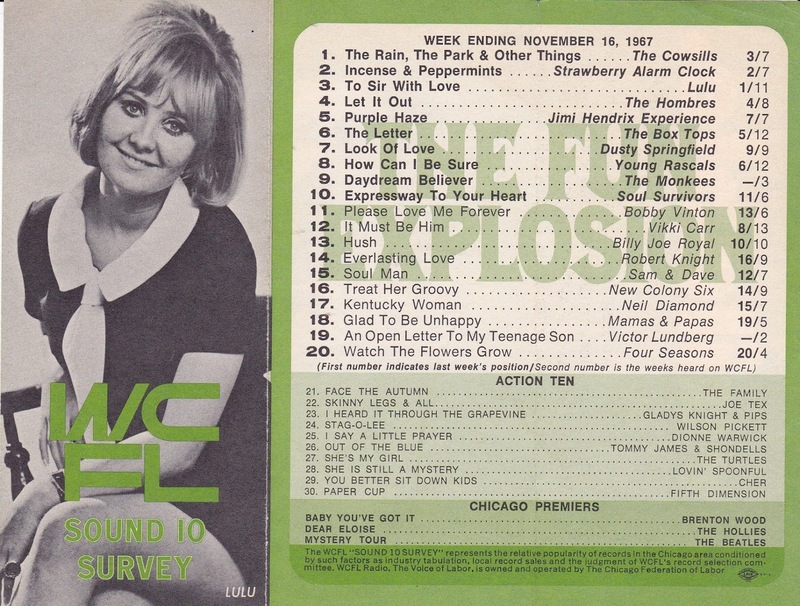 There are several other "future hits" making their first appearance on the chart this week as well … "Neon Rainbow" by The Box Tops (the follow-up to their chart-topping record "The Letter") debuts at #67 … and right behind it at #68 is the brand new single by The Monkees, "Daydream Believer. You'll also find "Massachusetts" by The Bee Gees, "An Open Letter To My Teenage Son" by Victor Lundberg, "Different Drum" by The Stone Poneys (a tune written by Monkee Michael Nesmith) and two versions of "Beautiful People" (one by songwriter Kenny O'Dell and the other by Bobby Vee) all making their first chart appearances this week. 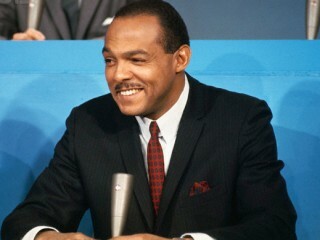 Carl Stokes is elected as the first black mayor of a major American city when he became the Mayor of Cleveland. He will serve two terms in office. Afterwards he will become a television commentator and then a judge. 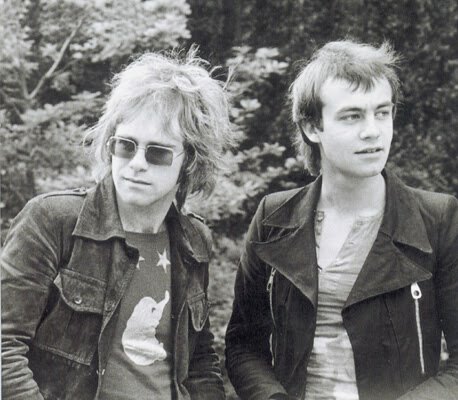 Reginald Dwight and Bernie Taupin signed their first major publishing deal in the UK. Both sets of their parents had to be there at witnesses as both songwriters were still under age. Dwight would change his name a short time later to Elton John … and together Elton John and Bernie Tauplin would go on to become one of the most successful songwriting duos in pop music history. US President Lyndon Johnson signed a bill establishing The Corporation for Public Broadcasting today. Sam and Dave move into the #1 position on the Pop Chart this week as "Soul Man" overtakes Lulu's hit "To Sir, With Love," dropping it to #2. "Incense And Peppermints" by The Strawberry Alarm Clock and "The Rain, The Park And Other Things" by The Cowsills continue their climb up the chart moving from #7 to #3 and #10 to #4 respectively. Vikki Carr's "It Must Be Him" rounds out The Top Five. The only other Top Ten hits showing upward movement this week are by Bobby Vinton ("Please Love Me Forever", up from #12 to #8) and "A Natural Woman" by Aretha Franklin, which climbs from #11 to #9. Three other tracks earned bullets in The Top 20 this week … "Let It Out" by The Hombres, which climbs from #16 to #12, "Love Is Strange" by Peaches And Herb (up from #17 to #13) and "I Can See For Miles" by The Who, which moves up from #24 to #17. Big Top 40 movers include "Lazy Day" by Spanky and Our Gang (#27 to #22), "I Say A Little Prayer" by Dionne Warwick (#32 to #24), "Pata Pata" by Miriam Makeba (#30 to #25), "Glad To Be Unhappy" by The Mamas and the Papas (#42 to #26), "Keep The Ball Rollin'" by Jay and the Techniques (#41 to #27), "Like An Old Time Movie" by Scott McKenzie (#45 to #28), "She Is Still A Mystery" by The Lovin' Spoonful (up twenty places from #49 to #29), "Lady Bird" by Nancy Sinatra and Lee Hazlewood (#38 to #30), "Get Together" by James Brown (#44 to #31), "Boogaloo Down Broadway" by The Fantastic Johnny C (#50 to #32), "Stag-O-Lee" by Wilson Pickett (#55 to #36), "Watch The Flowers Grow" by The Four Seasons (#52 to #37) and "Homburg" by Procol Harum (#47 to #40). The Number One Album in the Country still belongs to Diana Ross and the Supremes, thanks to their "Greatest Hits" LP. "Sgt. Pepper's Lonely Hearts Club Band" by The Beatles and "The Doors" by The Doors stand right behind it at positions #2 and #3 respectively. But a brand new release crashes into The Top Ten this week as The Doors' follow-up album, "Strange Days", leaps from #100 to #4! The Monkees' fourth album, "Pisces, Aquarius, Capricorn and Jones, Ltd." is released. It will become their fourth album to occupy the #1 Spot on the National Album Chart this year … an INCREDIBLE feat for ANY band. In all, The Monkees will spend 37 weeks (out of a possible 60 consecutive weeks) on top of the national album chart. During this same time period, they will also have the #1 Single in America for 16 weeks. 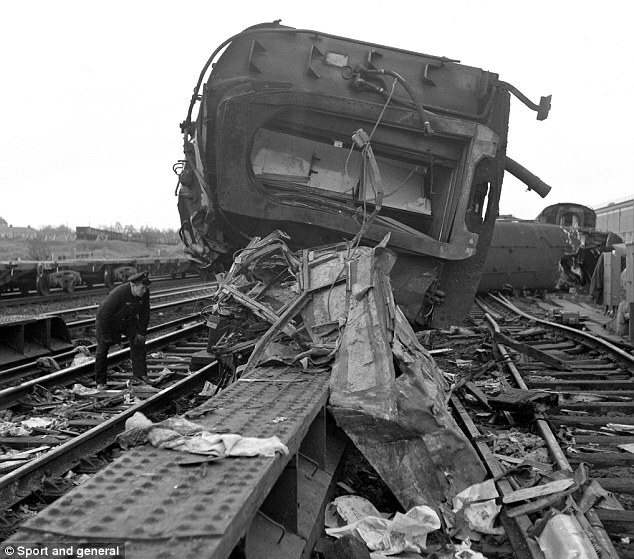 Robin Gibb of The Bee Gees is on a train that derails near London, killing 49 people. 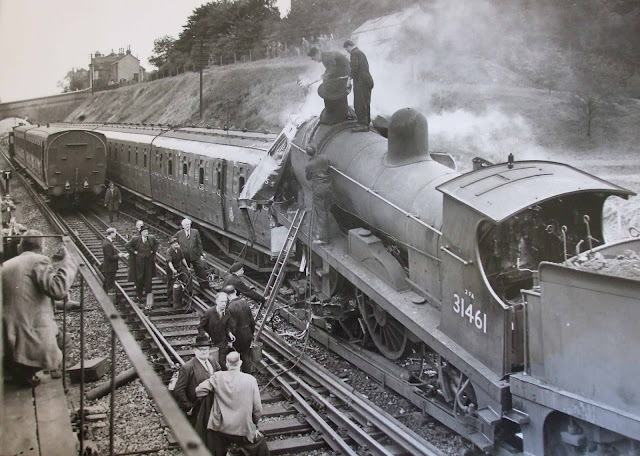 Robin escaped with a few cuts and bruises … and helped other passengers out of the train. Guests on The Ed Sullivan Show this evening include Tony Bennett and Shirley Bassey. 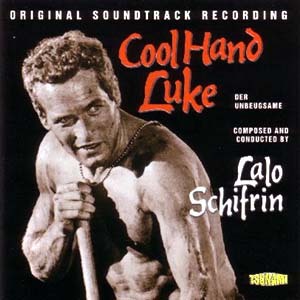 Another '60's classic tops the box office this week as Paul Newman's "Cool Hand Luke" becomes the biggest money-maker of the week.